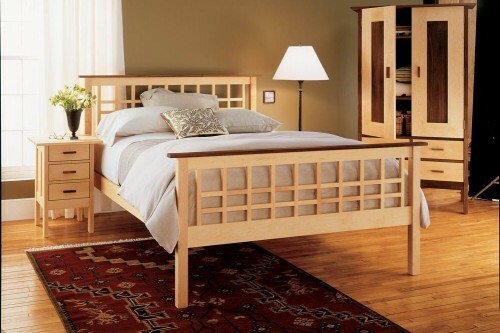 We pride ourselves on building solid hardwood furniture that delivers custom quality without the custom price. 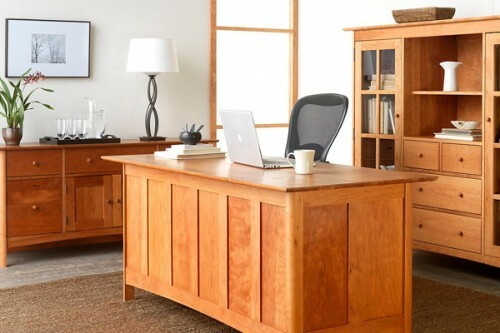 We work by hand, combining the latest technology with elements of traditional joinery in an effort to create heirloom-quality pieces that are reasonably affordable. Producing fine furniture that will last for generations is a time-consuming process that cannot be rushed by taking shortcuts. All of our furniture is enhanced by unbroken lines of solid wood construction with a minimum of laminated or glued-together parts. Parts are produced in multiples and then handed to small teams of people who work by hand in the traditional bench-crafted fashion. Drawers and doors are precision fitted by specially trained teams as well. The results speak for themselves. Take a look at what our customers are saying. Because we do not stain any of our furniture, the color of each piece must match the other pieces perfectly – the human eye is the ultimate arbiter of this process and the parts in our furniture can be rejected at any time by any craftsman, ensuring that the completed piece is of the highest quality. Wherever structural right angles meet, a mortise and tenon joint is used. As shown in the photo, a solid wood tenon connects the two adjoining components. The tenon secures the joint and holds it tightly together, which gives the joint its superior strength and flexibility. In high stress joints, additional glue blocks are used to ensure durability. We rely on the geometry of the mortise and tenon joint and the strength of the glue. Our furniture is glued and clamped for 24 hours using true bench-crafted assembly techniques. As a result, the joints are extremely strong and rigid, and the furniture is rock-solid. 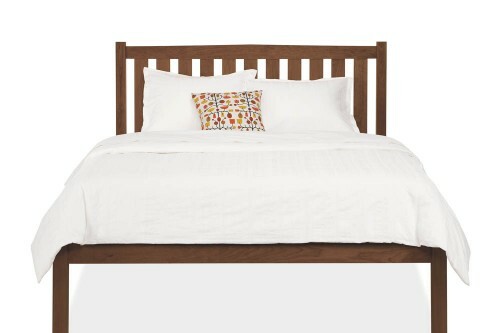 This is the time-tested process for building heirloom quality furniture, and we adhere to it. Our drawer boxes are made of solid hardwood with traditional English dovetail joinery. This method is simple, beautiful, and time-tested. The drawer box bottoms are made of plywood that is compliant with current California codes, but solid wood bottoms are available for an additional charge. 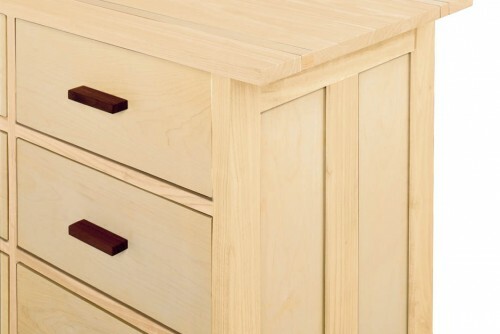 All of our drawers are completed with a smooth hard finish that will not catch threads on your clothing. Solid hardwood floating panels are used in the sides of our cases and on any doors. Each panel is fitted and inserted into the frame. This construction method allows the panel to breathe within the borders of the frame and prevents the piece from warping or cracking. Floating panels are also aesthetically pleasing by providing an element of depth in areas that would otherwise be unappealing. Every VFD case is assigned to one “fitter” who is allowed as much time as necessary to ensure that every door and drawer fits and works perfectly. 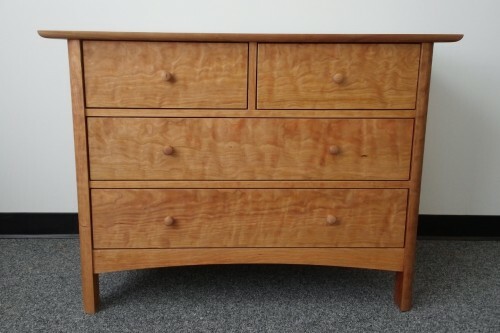 The drawers are hand-fit to each location, and are numbered to make sure they are placed properly in the dresser. The reveal around each door and drawer must be perfect all the way around, and they must open and close smoothly and easily- no furniture is sent to shipping until everything is just right. We use an oil and wax finish that is based on linseed oil. This natural product brings out the color, grain, and depth of all of the hardwoods we use. While it requires some care, the rich patina that develops with re-oiling is worth the effort. Finishing with oil requires a very detailed level of sanding. 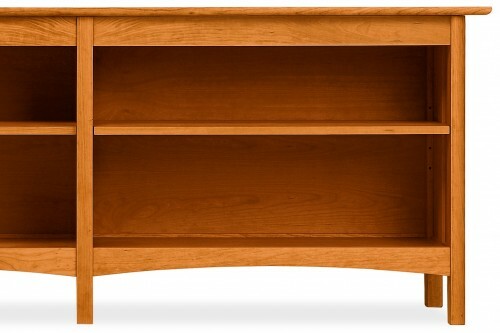 When you touch our furniture, you are touching the wood, not a chemical finish. Because the oil sinks into the wood, we must hand sand to a very fine grit to ensure a smooth surface. Oil finishing does not produce any VOCs. It is a natural and safe process that has been used for centuries.